Large toe box lets your toes spread out and helps avoid blisters. Zero drop for that minimalist ground feel. Great for wet weather. Mid height for added ankle support. 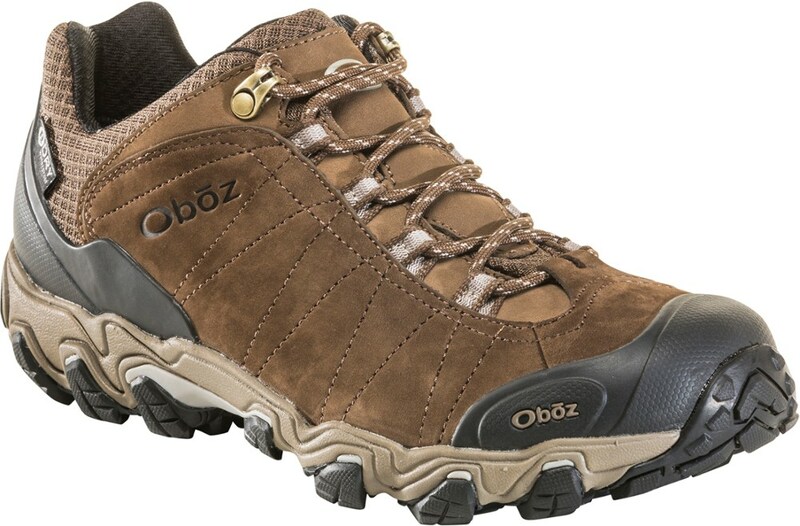 After reading on hiking forums for quite some time how popular zero drop trail runners were for long distance hiking, I was excited when I got a chance to test these shoes. 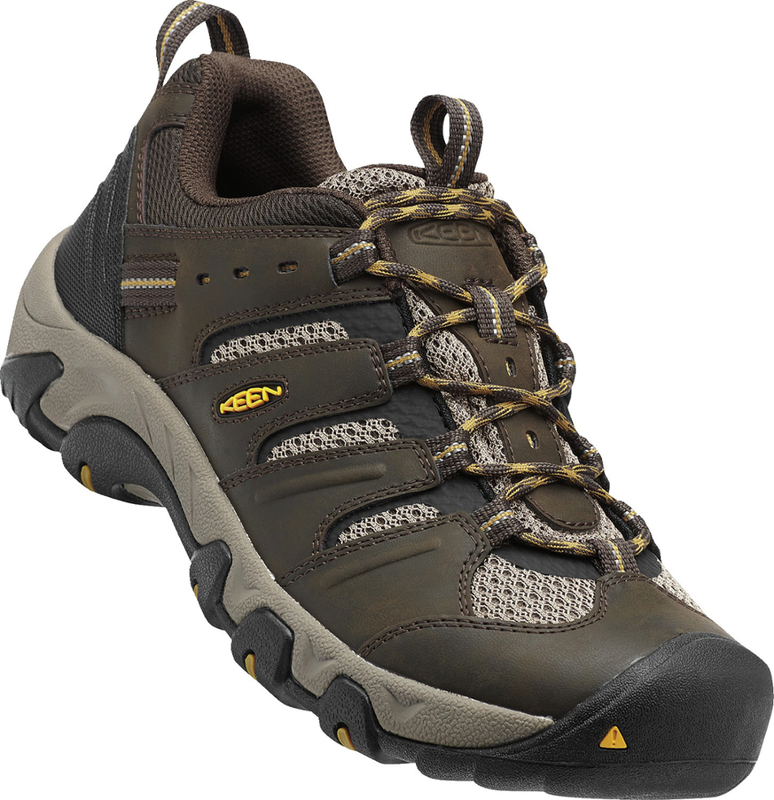 Once the Altra Lone Peak 3.0 mid height boot arrived in the spring, I immediately started putting some miles on them. 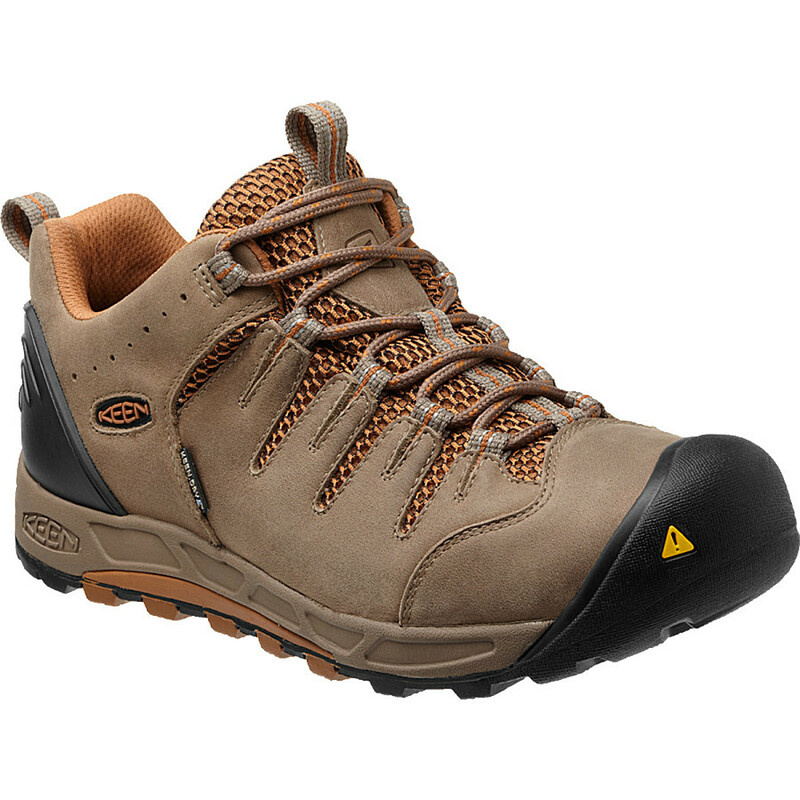 This is the first Lone Peak in a boot configuration which makes it especially good for mountain running, hiking or backpacking in rough terrain. A size 9 pair fit my feet perfectly. 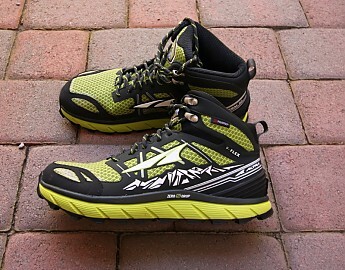 I have a wide forefoot and it is not that easy to find comfortable trail runners, the Altras filled the bill. These trail runners, like all Altra shoes, feature a wide toe box which is designed to be more anatomically correct than most trail runners. Slipping them on, immediately I was taken by how light they felt. 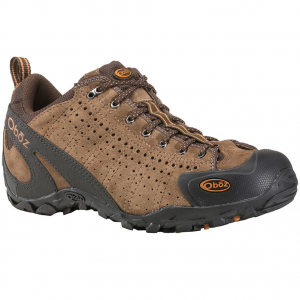 At just 26 ounces a pair, they are about 8 ounces lighter than a pair of low-cut hiking boot I also own. The boots were laced up to the top using the two riveted aluminum eyelets which makes cranking down the laces much easier. The ankle area is nicely padded and when the shoe is fully laced you can definitely feel the extra ankle support. 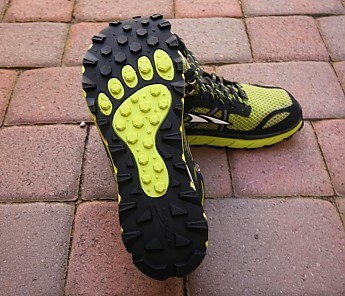 The zero drop was comfortable and easy to get used to, the feeling was like walking barefoot rather than heel high like a lot of trail runners. Being a lightweight backpacker who has been using trail runners for several years on my trips, that is how I put the Altras to the test. During a backpacking trip to Austin Creek State Park in Northern California, I really got a chance to see how they worked in a variety of conditions. 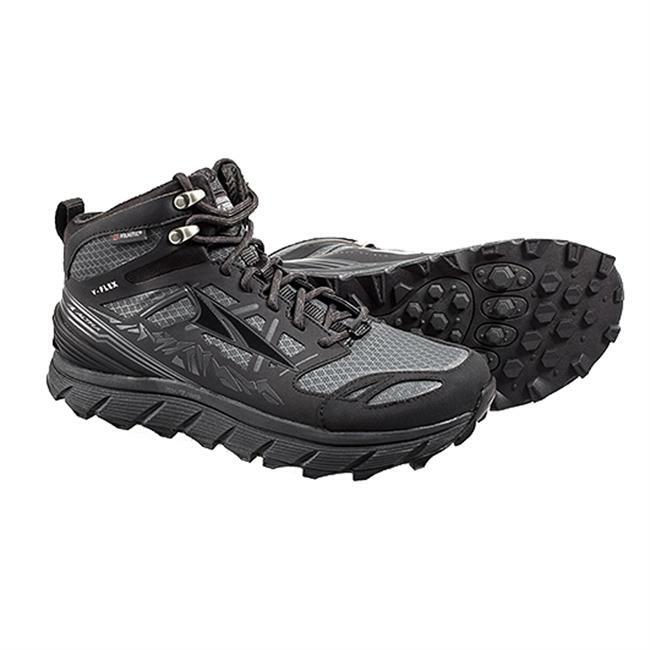 The hike starts with a narrow, rutted downhill of several miles where both that wide toe box and the Being a lightweight backpacker who has been using trail runners for several years on my trips, that is how I planned to use them. During a backpacking trip to Austin Creek State Park in Northern California, I really got a chance to see how they worked in a variety of conditions. The hike starts with a narrow, rutted downhill of several miles where both that wide toe box and the soles traction were put to the test. My foot stayed solidly planted in the boot and my toes really liked the extra room. Traction was excellent. The longer lugs in the midfoot kept my feet well planted over a variety of dirt and rocks going both downhill and up. Being a hiker who doesn't always pick up his feet high enough to clear all the trail obstacles encountered the rubber bumpers on the toe were greatly appreciated. The bottoms are fairly thin so they transmit the ground directly to your feet, which I liked a lot. As you get into the forest on this hike, the trail crosses a creek 12 times in 4 miles, that is where the Polartec NeoShell fabric shined. The shoe's tongue is sewn to just below the ankle, so as long as the water was below my ankles I could just walk right through it without getting a wet foot. At the end of the hike, my feet were fresh with no hotspots, a testament to a well fitting boot. The Altra Lone Peak 3.0 needed no break-in. It is ready for trail running or hiking right out of the box. Over the past 4 months, I have put a lot of additional miles on the boots both on the trail and off and they have been great. The Lone Peaks still look like new and the soles barely look used. I expect them to last for many more trail miles. I have put the Altras away for the summer since our temperatures in Northern California make these Gore-tex boots a little hot. I can't wait to take them on a Tour of Mont Blanc in France in September since I know they will perform well in the cool, wet I will encounter. Anyone who loves trail running shoes but would like ankle support should give these a try. I'm glad I did. Very helpful review. I will consider purchasing based upon this review Gearman! Hey Steve, I wanted to point out that these Lone Peaks (and no pairs of Altras) use Goretex in their shoes. Some pairs, like these, use Polartec NeoShell for waterproofing. Good stuff. Is that part that wraps up around your ankle more of a neoprene-like material? With a bit of stretch? Pillowhead, On the outside yes on the inside a Polartec mesh with foam in between the outer and inner. Very cushy. Alicia, Thanks for picking that up, I have changed the wording in the review.